(Seychelles News Agency) - Holders of Seychelles’ passport have the most powerful passport in Africa, a 2017 travel ranking reports. 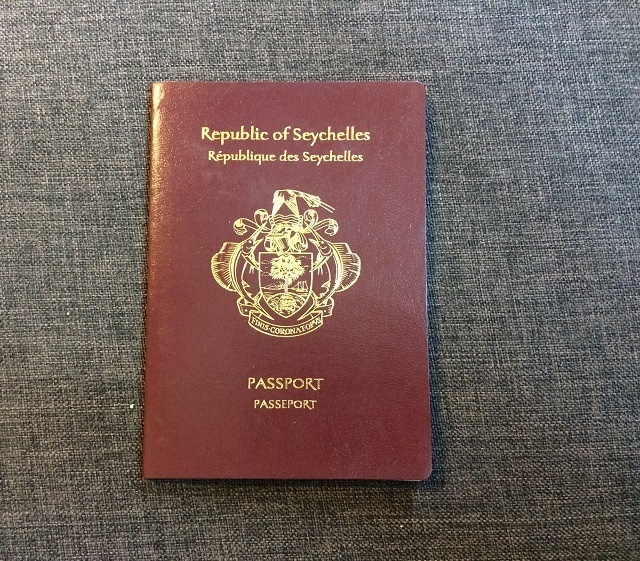 According to the Passportindex.org, Seychellois nationals can visit 96 countries visa-free and 30 with issuance of a visa on arrival, bringing the total to 126. Mauritius is second in Africa with 118 countries, and South Africa in third place with a visa-free score of 90. Visitors to Seychelles, a group of 115 islands in the western Indian Ocean, also have an easy time travelling, as they do not have to apply for a visa in advance; travellers are given a visitor’s permit upon arrival. The island nation is one of 13 countries ranked first as a welcoming country. Since the island nation is open to all other countries, it is constantly in discussion with countries to get visa waivers. “There are various countries that we have contacted and we are taking all the opportunities given to raise the question [of signing a visa waiver],” said Jean-Claude Adrienne, the Director for Consular Affairs at the Department of Foreign Affairs. Adrienne added that there might be other countries to sign the visa waiver this year. Globally, Seychelles is ranked 25th, a position that has not changed since 2016. Germany tops the global list with 158 countries around the world to which its passport holders can travel without having to get a visa before departure. The country holds this position for the second consecutive year. Sweden and Singapore follows closely in second place with 157. Afghanistan is on the other end of the spectrum with visa-free access to only 23 countries. The number of visa-free regions and countries play an important role in determining the rank of a country for the year 2017. The annually updated list changes when visa-waivers are signed during the year.